Francis Fitzgibbon runs StoryStock, a high potential Irish startup with an ambition to create a video archive of stories from around the world. Having worked as a policy advisor to the European Commission, Francis Fitzgibbon left this well paid, secure job and returned home to Kerry to build something. In July 2016, he became founder and CEO of StoryStock, an Enterprise Ireland (HPSU) startup, with an ambition to become a ‘Getty Images for digital stories’. StoryStock is building one of the world’s largest communities of journalists and storytellers as well as creating a massive digital archive, featuring ordinary people, with extraordinary stories to tell. We are creating a stock model for the distribution of these stories, mainly video, for both local and international media outlets as well as brands, operating across the world. What was the spark that ignited the business? Love of storytelling has always been an integral part of my life; from listening to my father’s stories about the Dingle Railway; to hosting the Breakfast Show on Kerry Radio or as a Newstalk reporter on The Pat Kenny Show. I was coming across stories all the time, and I knew that there was a value in recording them. Even as a personal project, it was a fascinating thing to do. What problems do you solve for storytellers and media organisations? When a journalist or storyteller signs up with StoryStock, we give them a route to market, allowing their work to be broadcast in some of the biggest media outlets in the world. A lot of media organisations, now realise that they are losing their advertisers because they are losing their audiences. If they want to earn more revenue, they need a bigger audience, and a way to create larger audience is through reach, and quality content. So all of a sudden we are aligning with the likes of ITN, and the likes of Newstalk, providing a platform that gives them the ability to get a story in Mallow, Dungarvan or to get a story in Michigan. Great, local stories can drive both audience and audience growth. If you are not telling stories from particular communities, you are not going to get the reach and growth within those communities. We give journalists and storytellers the reach. For publishers, we cut their content delivery costs, as they won’t pay a subscription but instead pay only per story. Have you been able to validate your idea? We are going to use one test client in the UK and one in Ireland. We have validated in the sense that we have customers that have signed up to the concept and are ready to start testing with us. However, we won’t be able to go to market until we have a critical mass of stories, as that’s the decision we have taken. Have you a tag line? StoryStock allows media and brands to operate in the heart of the communities they serve, by bringing them the stories that people are talking about. Our key focus is the media; it’s an industry we understand and know. The brand side of things also developed when brands started coming to us. I also think that storytelling is now taking off in the business community in a new way. Technology has allowed brands and businesses to track what people are saying about them as well as allowing them to tell their story. Does your platform focus on breaking news or news analysis? Our focus is on news analysis – like the ‘what’ and the ‘why’. We recently had a great story that was uploaded from a chap with an acquired brain injury. He was told that he would never walk again. However, he’s now on his third Marathon and his seventh half-marathon. It’s a story that would work well on any feature show. It would also work well with any number of brands. The story is one of resilience and of overcoming challenges and brands often seek content that reflects their values. What kind of media organisations do you target? All platforms – radio, TV, newspaper, magazines, and online. We will sell licenses to those that need content. I think there is a value in it because a lot of publishers (like the Irish Independent and Maximum Media) now have full studios in-house. They are focused now on broadcasting and podcasting. The written word is quickly being replaced by video and audio. Our focus is on six key markets; Australia, New Zealand, Canada, the US, Ireland and the UK. 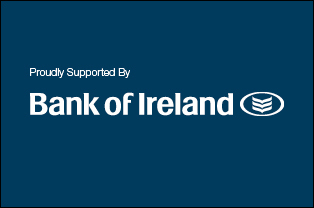 In Ireland, there are 43 licensed radio stations, and in the US there are 15,000 licensed radio stations. We have to sell into international markets to scale. If you look at some of the largest most successful companies in the world, they are driven by people who understand the power of telling stories. For example, as company founders, Steve Jobs, Bill Gates and Walt Disney were all people who were masters of storytelling. They created brands that were built on stories which in turn sparked both tremendous brand loyalty and public interest. 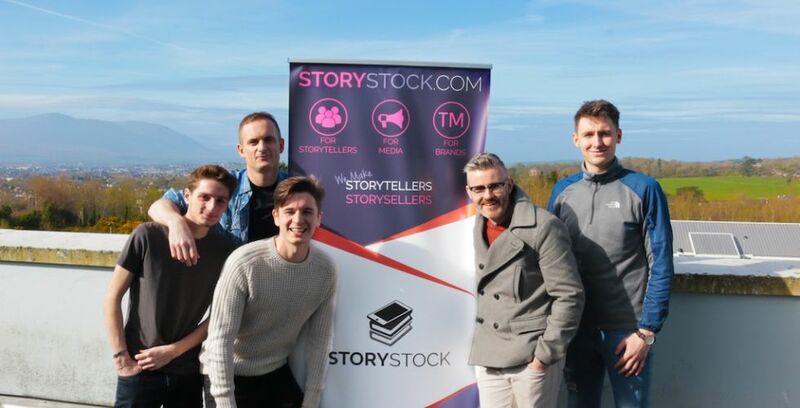 Pictured above, main image are (l-r): Pierre Leveque, software developer; Francis Fitzgibbon, CEO and founder; Kieran Murphy, international marketing; Shane O’Connor, story department manager; and Tadhg Fleming, social media specialist.